September 1, 2018--I finally have a moment to write a little about the ANG 2018 Seminar in Washington, DC that I attended last week. I was very busy taking two classes held over four days, and working with the Distance Learning Committee in my capacity as Correspondence Course Chair. 1. 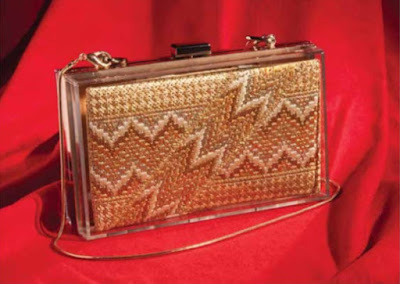 Golden Gala Evening Purse by Michele Roberts. The project photo is below. This is the type of stitching I love, so expect this to be completed by the end of September, maybe..... The picture shows the front only--the back is just as magnificent, The front and back are separately "finished" and inserted into a clear acrylic base. A future blog about this purse will have details as to how it is finished. A real cutie. 2. What to My Wondering Eyes Should Appear Stocking by Joan Thomasson. The project photo is below. I love this design and will try to complete the stitching and finish it into a stocking by December. It has lots of wonderful stitching, texture and features. 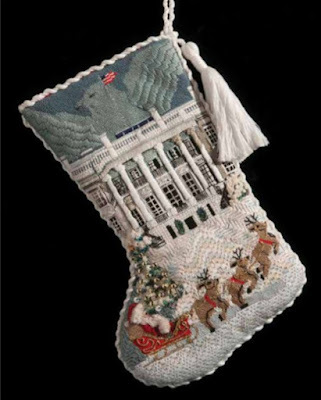 When I write about the stocking in a separate blog entry, I'll give some history about it. Thanks. 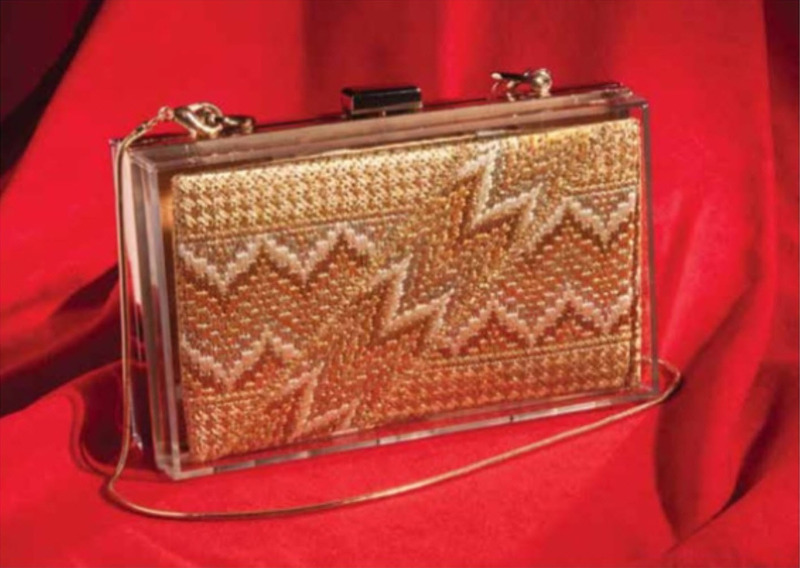 Love the word "minaudiere". It's perfect to describe the purse.